Jaguar XF 2.0d  Portfolio 4dr 2019 Review | What Car? What Car? will save you at least £3,808, but our approved dealers could save you even more. The Jaguar XF is one of the best cars to drive in the luxury car class, and it comes with an impressive amount of kit as standard, too. Its engines aren't quite as efficient and quick as its key rivals, and interior build quality is off the pace, but it's still definitely worth considering. A luxurious choice, featuring all the equipment of R-Sport minus the bodykit and sports seats. It gains a reversing camera, keyless entry and start, 40/20/40 split-folding rear seats and an upgraded 380W sound system. A very credible company car choice, although it emits slightly more CO2 than the entry-level 2.0d 163. Performance is strong enough for town and motorway work. 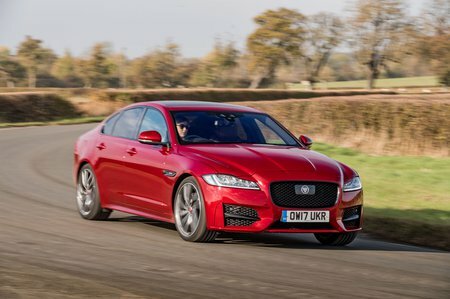 However, it isn’t as punchy or refined as the equivalent engines in rival luxury saloons.